nothing. we stayed in another formule1 the night before and liked it. but this one needs some changes. We received a nice welcome and were able to book that same morning in 2 minutes flat ! Practical. 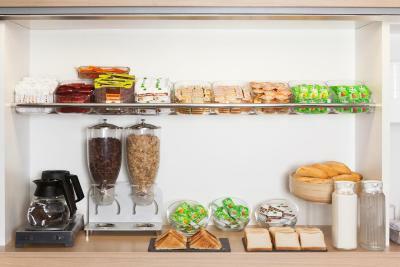 Good helpful staff,clean non smoking room,easy to find with sat-nav. Cheap and easy to use accommodation near to the motorway, ideal for travellers but not much to see/do in the immediate vicinity apart from a very good pizza restaurant. Even though the staff had very basic english they tried to be friendly and help as much as they could. HotelF1 Chambéry Nord offers accommodations in La Motte-Servolex. Each room is fitted with a shared bathroom. A flat-screen TV is provided. You will find a 24-hour front desk at the property. Guests can purchase microfibre towels at the hotel at an extra cost of EUR 3 each. Annecy is 24 mi from hotelF1 Chambéry Nord, while Aix-les-Bains is 6.2 mi away. The nearest airport is Grenoble - Isère Airport, 32 mi from hotelF1 Chambéry Nord. 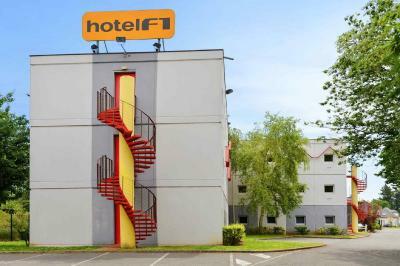 When would you like to stay at hotelF1 Chambéry Nord? 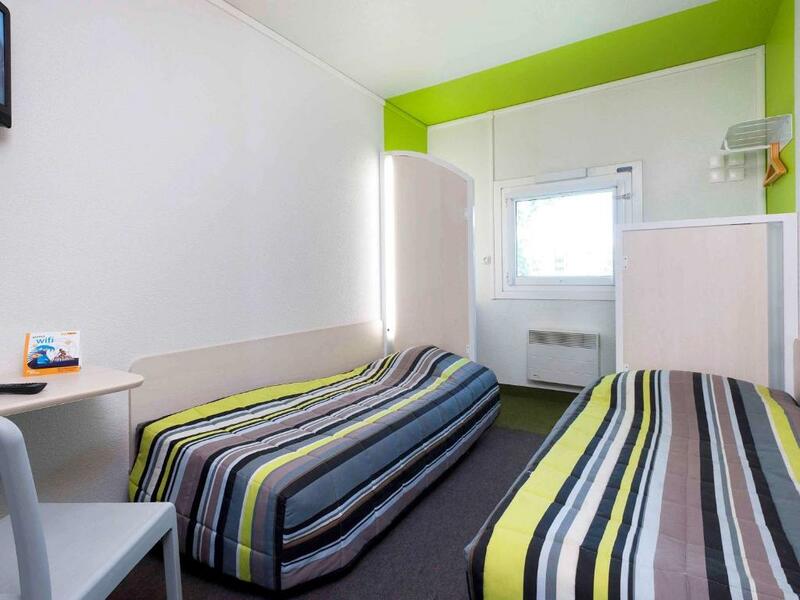 This triple room features 1 double bed and 1 bunk bed, a sink, a mirror, a flat-screen TV and connectors for consoles and MP3 players. Showers and toilets are located outside the room. This twin room features 2 single beds, a sink, a mirror, a flat-screen TV and connectors for consoles and MP3 players. Showers and toilets are located outside the room. House Rules hotelF1 Chambéry Nord takes special requests – add in the next step! hotelF1 Chambéry Nord accepts these cards and reserves the right to temporarily hold an amount prior to arrival. It was smelly. The beds were not clean (see pictures). It was very noisy. On top of that they were cleaning up the toilets at 4pm with a karcher which woke us up. Cheap ok but should at least be clean. The hotel smelled awful and the rooms smelled of smoke. It was just so bad you could taste it. Disgusting. There was also a dog in the room next door that barked continuously. Rubbish. too hot! could not sleep. bitten by insects - mosquitoes or bed bugs as this was UNDER the sheets and we saw small round flat insects in the bed. Staff said these fly in but they had no wings. left at 3am without any sleep. There was a lot of noise and cigarette smoke coming from outside all night, people talking/shouting around the front entrance. My room was just above and it was hot so the window was open. The car park is small and was full of big vans so it was difficult to park. There was a heatwave so the small window with out a fan was insufficient. Also, lots of men hanging around downstairs , not unpleasant, but not very comfortable for a family with kids. There were not enough showers and toilets (one was out of use) (,one flushed everywhere without assistance!). When we arrived the toilets were not clean. It would have been nicer if there had been seperate showers and toilets for male and female guests! Basic but ok for the cost . The blanket had a strange smell. The toilets where not clean. Can be quite noisy. Toilet and Shower were dirty, but the People who were staying in the hotel this night also. The Personal cleaned a lot but could not make it better.Although there was a big Fench around the complex, still our car was broken in to.